Costa Rica has its fair share of colorful and unique creatures as I found out on my March 2017 vacation. At remote Tortuguero, there are 111 species of reptiles, 60 species of mammals and 309 species of birds. There are also bugs, tons of them. 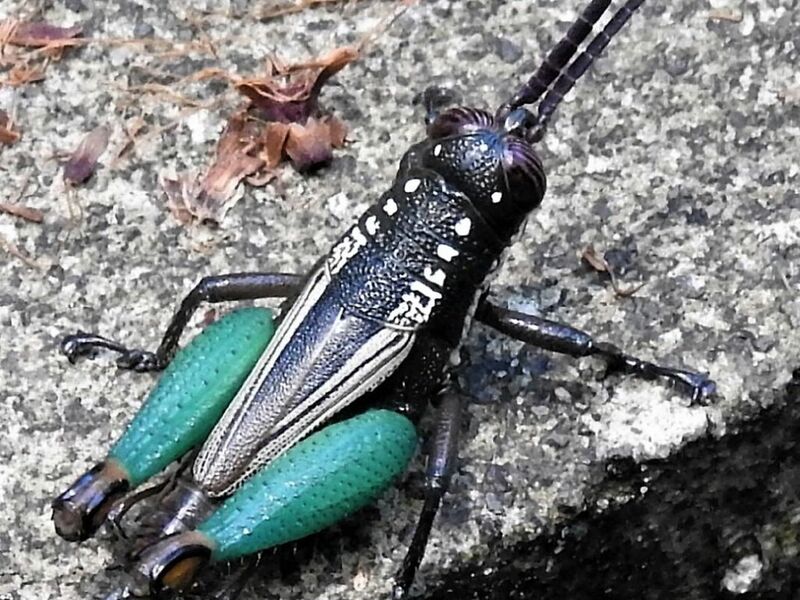 This grasshopper landed on my fellow traveler's leg and then quickly flew to the sidewalk. She screamed and the grasshopper jumped away. I was able to catch it on the sidewalk before it was gone in the undergrowth. Date Uploaded: May 28, 2018, 11:34 a.m.